All of us are marked by our border passages and the passages of others. Migration impacts those who move, the environments they leave, and the places to which they come. Between point of derivation and destination is the art and science of passage—stories of loss, encounters, and transformation that shape our world and our world view. How has migration influenced evolution and how has the human impact on Earth influenced migration? Are we a migratory species? When confronted with the decision to stay or go, what would you do? 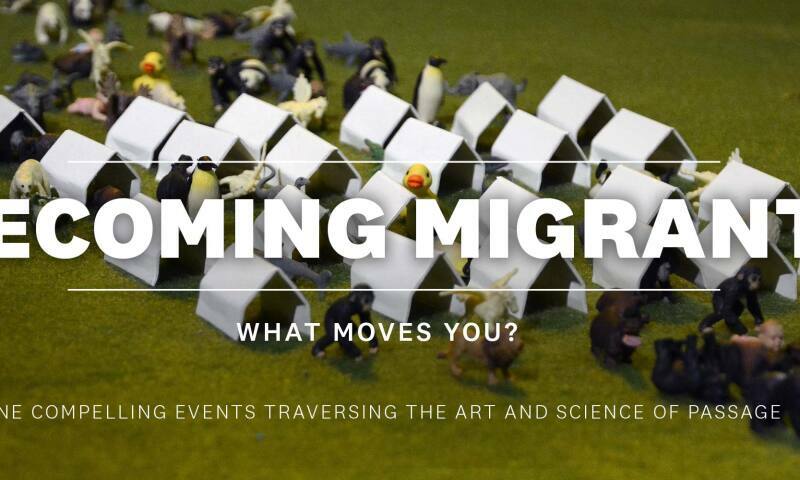 Join us for a month of thought-provoking programming at the nexus of natural and unnatural migrations—with live performances, films, workshops, and conversations that ask the question: What moves you?